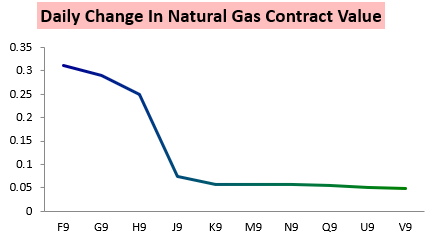 If you're having trouble keeping track of all these daily natural gas moves, you're not alone. 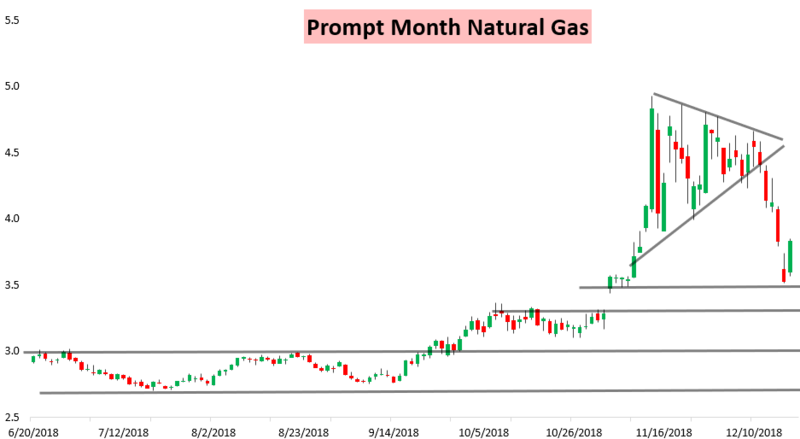 After falling almost 8% yesterday the January natural gas contract shot back higher almost 9% today to settle a cent above where it settled last Friday as long-range models began to hint at colder risks to start off January. Once again today's rally was front-led with the January contract logging the largest gain on the day. 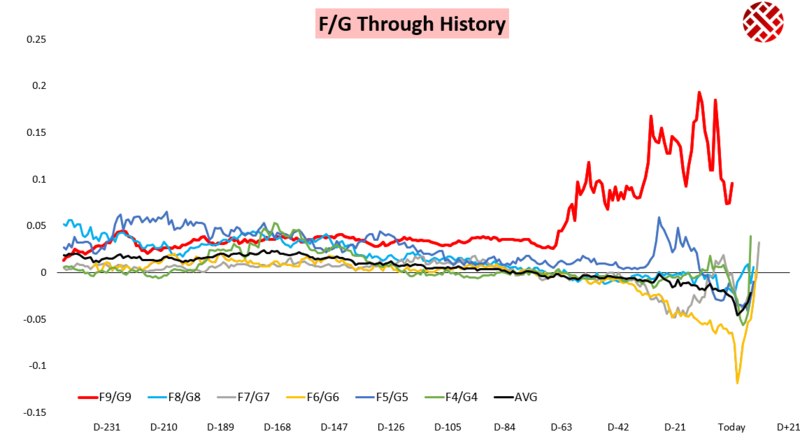 This comes as the January/February F/G spread was just finally beginning to move closer to past historical levels. 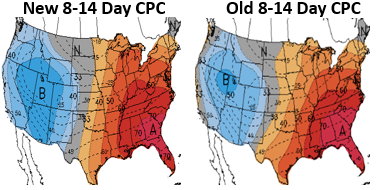 If you're looking for evidence of today's rally on Climate Prediction Center products it would be hard to come by, as warmth through Week 2 remained on most model guidance. 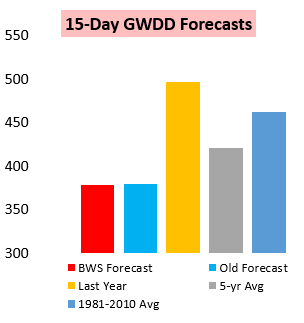 Rather, as noted in our Morning Update, Week 3 trends were solidly less bearish on overnight weather model guidance and overnight GWDDs were generally steady. We saw this as putting short-term upside to $3.75 resistance in play. Combined with some tighter balances we broke down in our intraday Note of the Day for clients, this was enough to bring about a short-squeeze that was furthered by colder American model guidance mid-day which helped break our $3.75 resistance level (image courtesy of Tropical Tidbits). 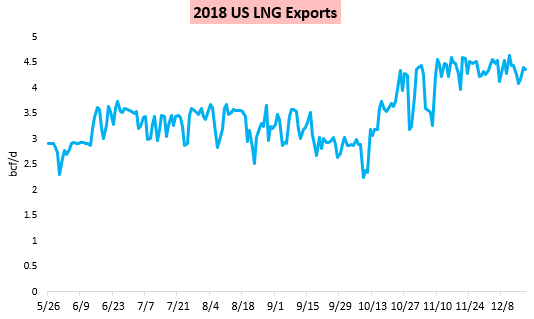 We also held our subscriber-only live chat today, where among other things we looked closer at natural gas balances including the role elevated LNG exports have had in keeping balances a bit tighter so far the last couple months. 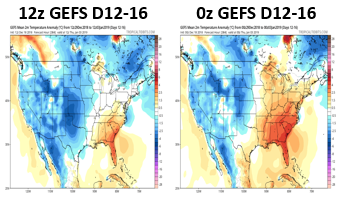 The market continues to shoot around on the extrapolated Week 3 weather forecast as traders attempt to judge when cold weather can return and how that could impact natural gas stockpiles that will still be dangerously low even after this warm December limits drawdowns. Thursday's EIA print should offer clues as to how storage draws will look in upcoming cold shots; much of our research today dove deeper into our expectations for that print and where gas price risk is accordingly skewed around it. We also published our updated seasonal weather and gas forecast, and you can view all of this with a 10-day free trial here.